After a very full weekend, I think I am finally settled enough into the week to blog. It takes a while. This weekend, Querido and I explored Tucson. 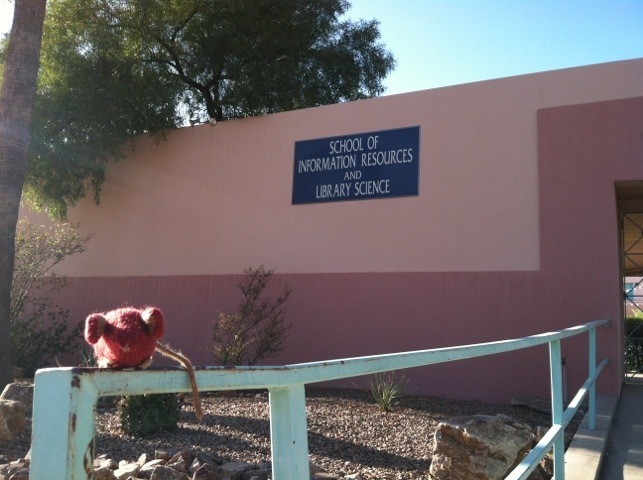 What brought us to Tucson initially was, as always has been, the School of Information Resources and Library Science. On Friday I celebrated the completion of my Digital Information Management Certificate with all the lovely people at SIRLS. Afterwards, I had a bee in my bonnet. 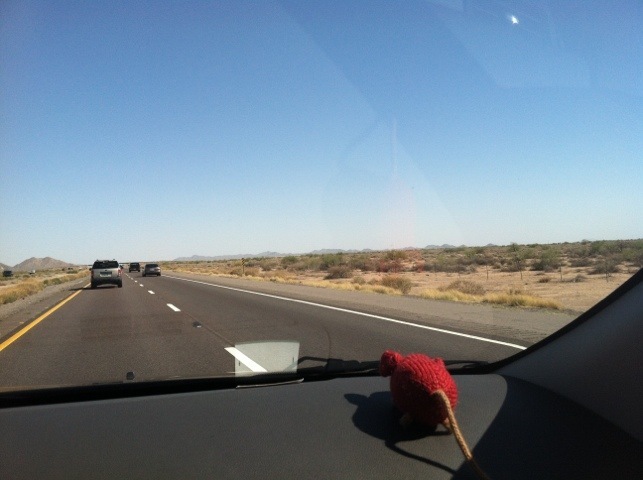 In over a decade of intermittent trips to Tucson, the most recent time I’ve been there for fun, not to take a class or attend a conference, was about ten years ago. Querido, wonderfully indulgent person that he is, agreed to this scheme. 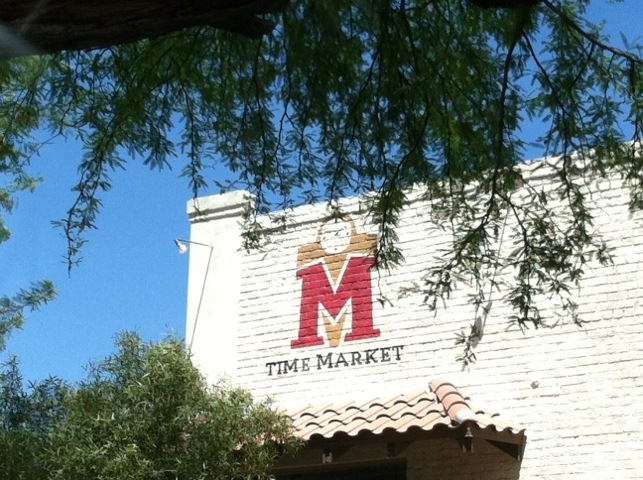 We began our Day In Tucson with a fortifying lunch at Time Market. It really is a good old-fashioned market, with dry goods, a deli, a sandwich counter–and a newfangled pizza counter and cafe too. The Grinder is delicious–and huge–and if we’d been spending longer, I totally would have raided the groceries. 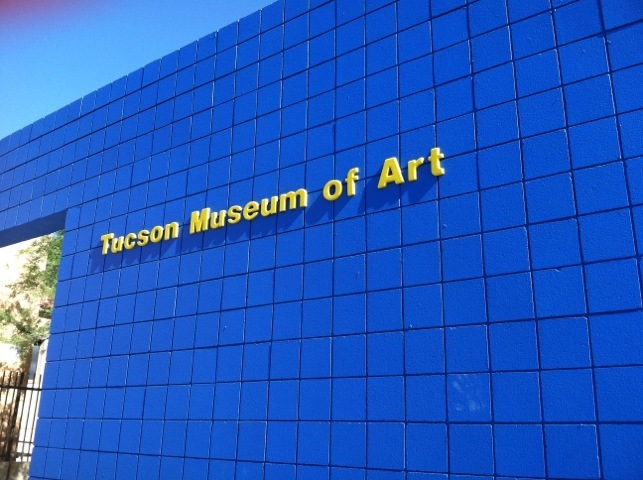 Next stop was the Tucson Museum of Art. I had hoped to see their historic houses, but spending half my life in cultural institutions has clearly taught me nothing, and I neglected to see if the houses have wonky hours. Lo and behold, each one is open for a tour on a different day, none of which are Saturday. Even without the historic houses, we had a good time wending our way down the museum’s corkscrew-shaped galleries. 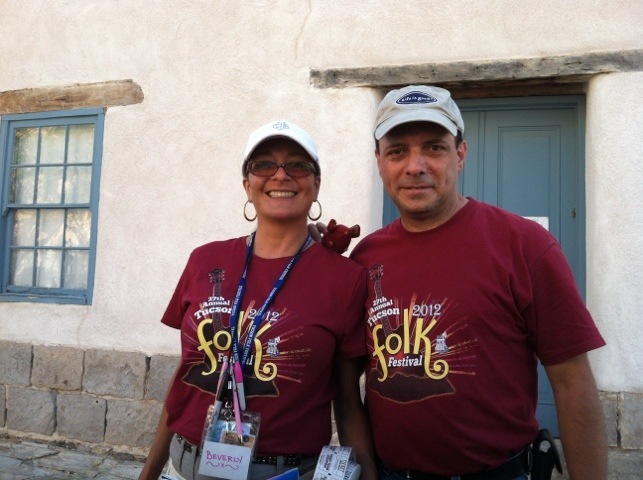 In and around the TMA was a folk festival. When some of the volunteers noticed Mousie and me gnoming, they got in on the fun. Last but not least, we recuperated from the day by putzing down Fourth Avenue. I had a moment of camnesia there, but the street is currently quite torn up for streetcar construction, so I would have been hard-pressed to get a photogenic shot. All in all, it was a lovely relaxing weekend, with just the right combination of activity and rest, and finally I feel like I know something about Tucson as a city. What about you, dear readers? What was the last place–near or far–that you acquainted yourselves with?